mediAvatar iPad Transfer is a new iTunes alternative for your iPad! 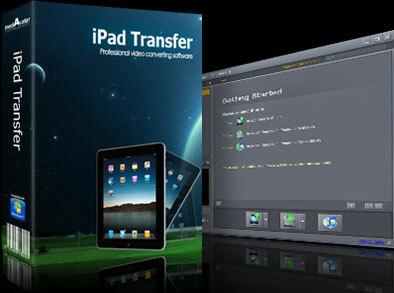 This iPad Transfer software provides fast and robust file backup of iPad to computer and iPad to iTunes. Once you have mediAvatar iPad Transfer, you can also copy videos, audio and photos from your PC to iPad directly without iTunes. Moreover, you can also share your iPad videos and music with other iPad, iPhone and iPod with this powerful iPad Transfer and Backup tool. mediAvatar iPad Transfer is not only applicable to all iPad models (incl.iPad Wi-Fi, iPad Wi-Fi+3G, iPad 16GB, iPad 32GB, iPad 64GB, New iPad, iPad Air, iPad mini), it also supports media file transfer among iPad, iPhone and iPod, as well as between iPhone/iPod and PC. Download mediAvatar iPad Transfer for FREE now! Share, backup, and transfer iPad movies and music! mediAvatar iPad Transfer can easily transfer files from iPad to your computer for backup. No need to fear the loss of iPad video and music files from now on! Easier and faster than iTunes to copy movies, videos, music and photos from computer to your iPad using data connection cable or Wi-Fi. With this iPad backup you can also backup your iPad videos and audios to your iTunes library. This iPad Transfer/Back up can connect all iPad/iPhone/iPod models, enabling you to transfer and share movies and songs among multiple iPad, iPhone and iPod. Find the iPad media file quickly with the aid of Quick Search and Filter tools available in this iPad transfer. With mediAvatar iPad Transfer you can edit music information of your iPad (incl. name, artist, album, composer, and year) to make them easier to manage and categorize. MVC iPad transfer lets you search your collection by Album List View, Artist list view, Genres list view or Composers list view. No matter which way you browse, you’ll quickly find exactly what you want to hear and watch. mediAvatar iPad Transfer enables you to create, edit and delete your iPad playlists to your fancy. Now you can even transfer playlists between devices. mediAvatar ipad Transfer provides you two mode of viewing you iPad files: list and thumbnails, and allows you to add illustrations to iPad video/music files in thumbnail mode. Newly added album view under photo node. Identifies your iPad information including model, capacity (used and available space), version, serial number and format for your checking once your iPad is connected. mediAvatar iPad Transfer can transfer media files between iPad, iTunes and PC at extremely high speed. mediAvatar iPad Transfer's interface includes English, German, French, Italian and Spanish languages. Convert and watch videos on your iPad without purchasing or renting online; convert movies to iPad format.